The photo above is one of my favourite photo-shopped examples. 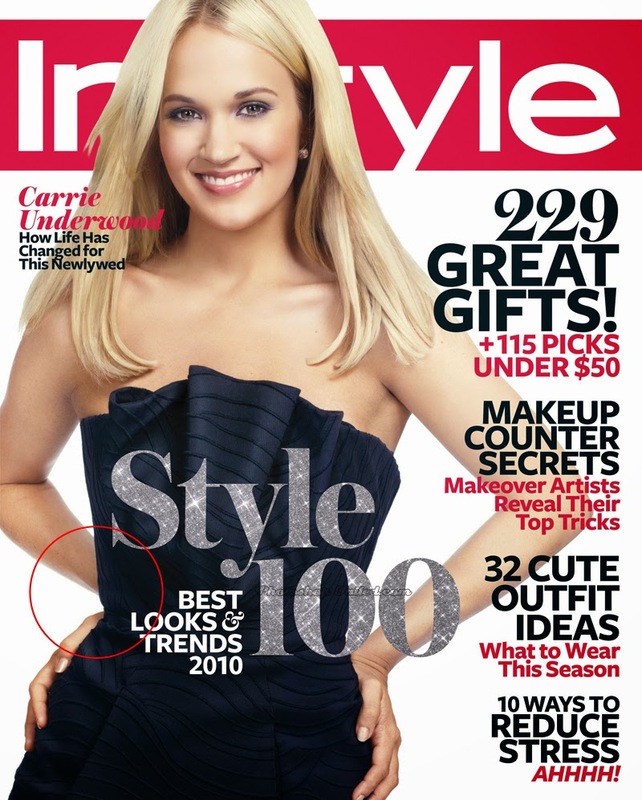 They changed the positioning of Carrie Underwood's arm because??? I saw this video on Buzzfeed. If you've got a minute and 40 seconds, head on over and check it out. It's a great demonstration of many photo alterations. Some critics claim that almost all images of women in the media and advertising are photo-shopped. I think this is something we all need to keep reminding ourselves about as we compare our own appearance to gorgeous, genetically blessed celebrities who still aren't beautiful enough for media photos without major changes. I thought Jennifer Lawrence already looked wonderful but that wasn't good enough, her whole body is shrunken down.